Starting at the age of 10 with judo, followed by boxing, karate, pencak silat and kung fu, I was quite adept in the martial arts at the age of 20. I invented my first own system, based upon all things learned from the different teachings, and used it wisely in my daily walk through life. At the age of 30 I was introduced to the noble art of Aikido. Intrigued at first sight, I trained with the Aikikai Amsterdam for a while, then received personal instruction and training from Ian Onvlee Sensei, one of the first aikidokas in The Netherlands. To whom I am grateful for giving me a detailed understanding of the basics of Aikido. 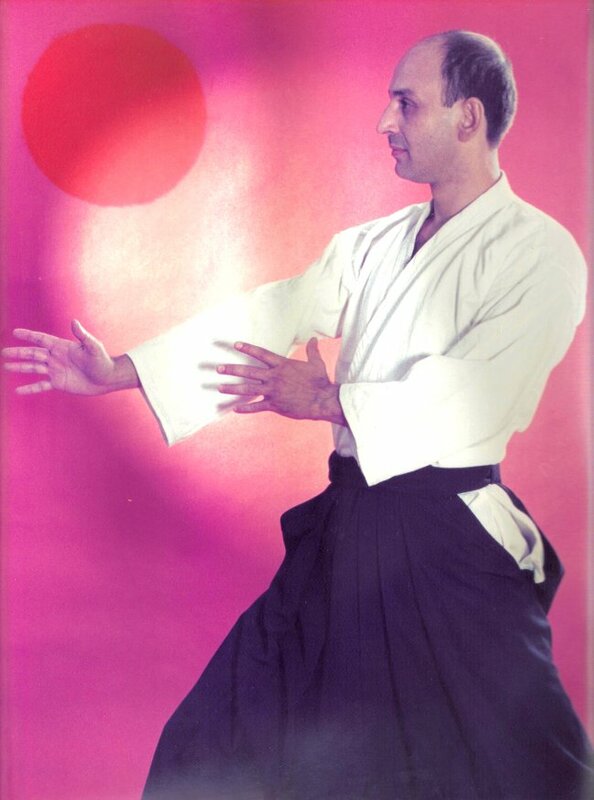 With vigor I studied the Aikikai Aikido system, and tried to complement it with Muay Boran, Pencak Silat, Chin Na and Nei Kung. For the next 5 years this was the focus. One day, a sportschool owner asked me to give an Aikido demonstration. Rather nervously, I asked assistance of a friend, and we gave it our best. We did so well, that I was asked to form an Aikido class at the sportschool. A few months later we were with plenty students and new ones waiting to join. It was a good time. During this period, I was able to test my skills with teachers in all martial art styles. I was seriously confronted with many strengths and weaknesses of 'my' Aikido. The next step was to adapt the system to alleviate any weaknesses, and obtain optimal effectivity. For the next 4 years I experimented and trained in my Amsterdam dojo with many students and fellow teachers skilled in Kyokushin karate, Seidokan karate, Wado karate, Taekwondo and Nunchaku. Aikido slowly turned into an Aiki-jutsu style system (Aiki-jutsu-do) that proved effective against all mentioned fighting styles. I was then introduced to the Takeda-ryu Nakamura-Ha of Soke Nakamura and was given the opportunity to train for black belt from the start with the intent to obtain a teacher's diploma as soon as possible. There I learned good basics, strong techniques, and was able to compile a mountain of new ideas. I attended seminars and I learned a lot from my training sessions with Branimir Tudan, the sole representative of Takeda-ryu for The Netherlands at the time. He was to prepare me for the exam and in 6 months he taught me all the techniques needed for a black belt and a teacher's diploma. In the dojo, I was now focusing on the Takeda-ryu Aiki-no-jutsu techniques (combined with my Aiki-jutsu-do system which most of my students knew well and actually preferred) and trained about 60 hours a week (sometimes more). Then came the moment that I decided (again) to take what I learned and proceed to the next step. Aiki-jutsu-do became the official name of that next step. By combining the strong aspects of Aikido, Takeda-ryu Aiki-no-jutsu, Muay and all things gathered throughout my martial arts journey, the Aiki-jutsu-do system became the next step. It took me 40 years to get to the point where I was finally satisfied with what I had learned. Naturally, many new ideas were conceived and over time perfected. There are many movements and techniques unique to Aiki-jutsu-do. Things the traditional arts just never came to because they stick to tradition. The result is a flexible, alert, dynamic, and above all realistic and effective in nature self defense system for the modern age. A new way of learning (actually very important!) and finally, the next step. For the first time in history, you can learn the techniques logically divided into its several parts, learn how relevant each detail is, teach your body to listen to what matters without being blocked by your logical brain and ultimately put all the parts together to come to natural decisive movements. The final result is a truly remarkable new martial art useful for anyone. I wish you lots of enjoyment from the study and the practice of Aiki-jutsu-do and trust you will cherish all you will learn on your journey.